We piled into our hire cars and drove the thirty odd minutes out of New Orleans’ French Quarter to the wetlands and swamps. 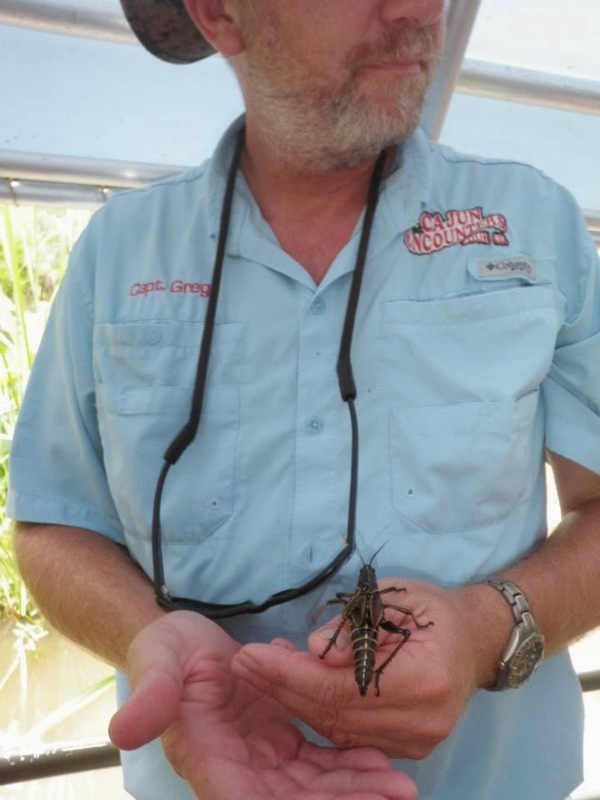 We’d been recommended to take a tour with Cajun Encounters, who allow you the opportunity to see one of the only remaining preserved wetlands in Louisiana. We spent the next two hours cruising the swamps, feeding alligators with marshmallows and enjoying the true beauty of Louisiana’s wetlands. The tour was amazing! 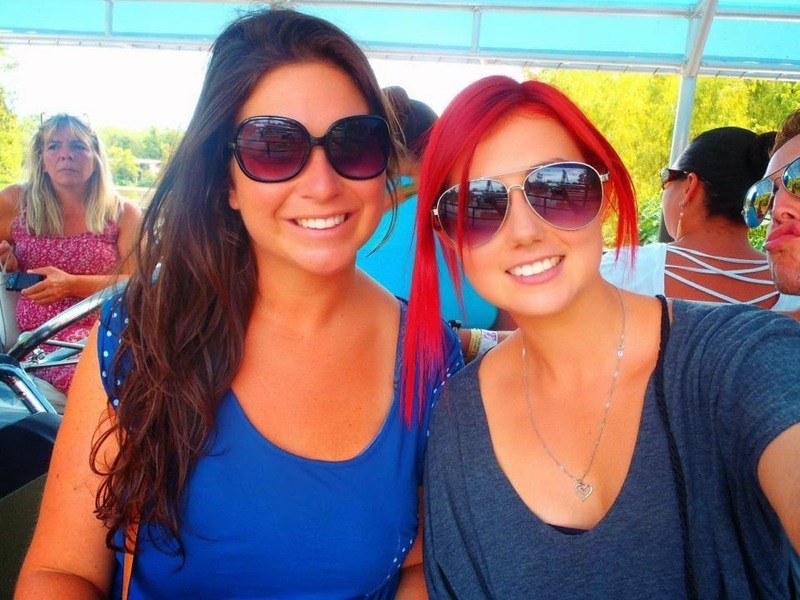 I loved seeing the beautiful wetlands, feeding alligators and exploring a different type of nature I am used to seeing! I can’t say I was too impressed though when Captain Greg realised how bug phobic I was and wouldn’t stay away from me with this critter until one of the boys told him off as I was a upset girl in the corner! You wouldn’t think I’d survived the Amazon jungle, but I have (phobia & all)! I do highly recommend visiting the area on a Swamp Tour when you are in New Orleans, it provided us a good opportunity to escape the city for a bit too!